My daughter is currently training to be a laptop dancer. There...I feel much better for the admission, however, I should elaborate. Besides being a mummy-daddy (it's a modern world) I like to sneak off between feeds and tantrums, prise open the laptop, run my fingers across old Qwerty and write about, well, pretty much anything really. I love to dilly, I love to dally...etc. Until a tiny pair of feet pin my fingers to the laptop keyboard. "She's a handful," as my wife might say. Actually our daughter is a lap-top-full, but the the blame for this lies squarely with the BBC - and, chiefly, CBeebies. Bash! Thud! Thump! Not the sound of an episode of Batman and Robin but tiny feet kicking at the keyboard. 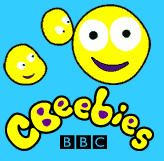 Normally followed by that question that echoes in my mind way into deep sleep, "Can I do CBeebies"? "Can't...it's mine, I'm writing. Puter mine." Bash! Don't know how she does it, she must have very dexterous toes, because half-way through a big-retort "Qwerty" just appeared on the screen. So besides offering new words to the global lexicon - such as "blog" "wwwdot" - why not just say all the "double use?- and "ping", it's "Mylo", "Tweenies" and now "Qwerty".